352 p., 14,8 x 20,5 cm. 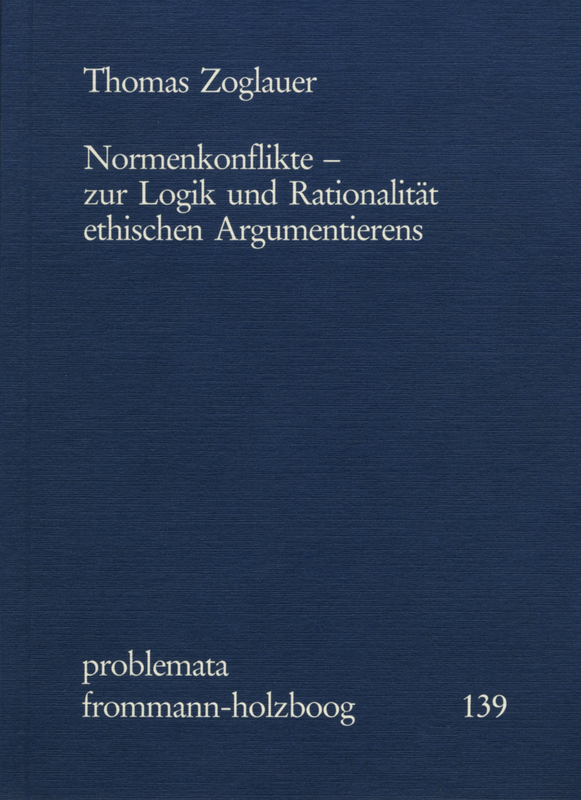 Norm conflicts are a key problem in practical philosophy. The author reveals the logical structure of norm conflicts, discusses various procedures to solve the conflicts and explores the extent to which traditional ethical theories can contribute to the solution of norm conflicts. The practical case studies dealt with include Kant’s prohibition against lying, organ transplantations, civil disobedience, the trials concerning the Berlin Wall shootings as well as conflicts of values in technology impact assessment. The analysis of norm conflicts in the law makes this book of interest to legal scholars as well. Zoglauer versteht es, durch die Vielzahl und Vielfalt der Beispiele das Werk für die unterschiedlichsten Lesergruppen interessant und anschaulich zu machen.